D.R. Plumbing serves its customers since 1987 and is a family owned and operated service business located in Montreal, Quebec. 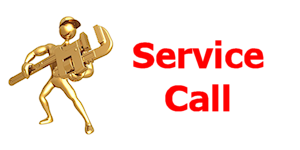 We specialize in residential, commercial, and industrial service of all plumbing, heating, and natural gas systems. Our service range includes the Montreal Island and surrounding areas. Courteous, respectful, licensed plumbing contractors providing the highest quality plumbing, heating and remodeling and installation. Our plumbers will help you update your homes plumbing. From replacing a single plumbing fixture, to replacing all fixtures and appliances in a bath or kitchen to a complete plumbing remodeling project, you can trust D.R. Plumbing inc. to get the job done right. Under the Building Act of Quebec, a contractor working in plumbing and heating must be licensed certifying his competence to be able to bid, conduct or piping work and displayed as a master mechanic pipe. Obtaining the license is possible only by passing a rigorous qualification process. The agency issuing the license is the Corporation of Master Pipe Mechanics of Quebec (CMMTQ). D.R. Plumbing inc. holds the license. You can now request a quote for the work to be done or place a service call online by using our form. You can also request general information concerning D.R. Plumbing inc. using our contact form.